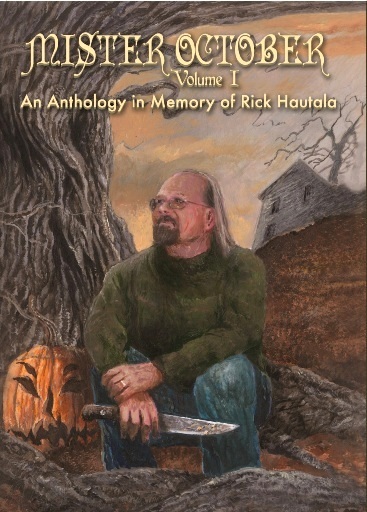 Mister October is a horror anthology compiled in memory of Rick Hautala. You may know him from his many works, including Night Stone, Little Brothers, Winter Wake, Cold Whisper, Bed Bugs, and others, or you may have encountered something he wrote as AJ Matthews. 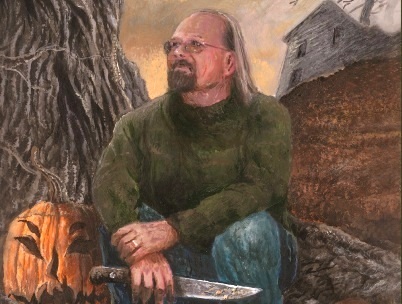 In "Introducing Mr. October," Editor Christopher Golden writes, "No one wrote horror with as heavy a heart, or with as deep a sense of foreboding and sorrow, as Rick Hautala." Rick's rich career as a writer was punctuated by high points and low points, and unfortunately he was in one of these low points when he passed away in March. Golden resolved to help Hautala's wife and family with the resulting financial crisis, and this two-volume collection was born with all proceeds to go to Hautala's family. It was originally conceived as a single book, but the response of talented writers willing to donate their stories was staggering. Several even sent new and unpublished works. As Golden writes, "the tragedy of Rick's life was that he never knew how many people loved him, how many held him in high regard—or if he knew, he never quite believed it." The gleaming array of talent in this book speaks eloquently of the love and respect Hautala's fellow writers felt for him. Mister October, Volume 1 doesn't waste any time wading in. "Feeders and Eaters" by legendary Neil Gaiman is the very first story, and the surreal creeping horror of the piece sets the tone masterfully for the rest of the volume. In a volume littered with horror masterpieces, this story still manages to leave its mark, building its horror through understatement and disbelief until the reader is forced to confront the truth...and then to turn away just as quickly, shuddering. "A Guy Walks into a Bar" by Matthew Costello has a similar feel to it in some ways; ostensibly in a normal, everyday setting, the story nonetheless spirals down into the malign world beneath the surface of that fragile normalcy. In addition, the voice used in "A Guy Walks into a Bar" is incredibly effective, drawing the reader along and fooling them that it can't be so bad, even as the narrator explicitly warns us otherwise. Volume 1 is crammed full of fantastic writing; so full, in fact, that one night I stayed up reading until ten in the morning after starting the night before once the children were in bed. However, even in the midst of all these fantastic and compelling stories, a handful stand out to me as especially notable achievements. The first of these is "Hell Hath Enlarged Herself" by Michael Marshall Smith. The story, involving a group of researcher-friends driven by a desire to succeed where others have failed, is easily one of the most creative and engaging stories of the supernatural that I have ever read. The power quietly builds in Jack M. Haringa's "Springfield Repeater" until the ending knocks you flat, lending a terrible new significance to everything preceding it. "Property Condemned—A Story of Pine Deep" by Jonathan Maberry is an absolutely stunning and completely fresh take on the haunted house story. The imaginative treatment of subject, characterization and pacing all left me wanting to read more by the author. Gary A. Braunbeck's "After the Elephant Ballet" is difficult to classify, being what some might loosely consider a ghost story, but the depth is what really makes it defy easy description. Past and present are layered together with smaller, enchanting stories inside the overall narrative, making this a rich and fascinating read. Finally, "Tight Little Stitches in a Dead Man's Back" by Joe R. Lansdale has no equal for me. The sheer scope of it, the raw uncompromising imagery and the crushing horror (literally, the weight of the world), make this story unforgettable. A very nice inclusion in Volume 1 is "Little Brothers Portfolio," featuring the art and reminiscences of Stephen R. Bissette concerning a comic book project he worked on with Hautala in the early 90's. As a fellow comic artist, I identified strongly with their efforts, their enthusiasm, and the obstacles they met trying to make this 4-comic miniseries a reality. As a reader, I enjoyed learning more about the man for whom this compilation exists. In addition to Bissette's wonderful "Little Brothers" illustrations, Volume 1 is liberally sprinkled with exquisite black and white horror art by Glen Chadbourne, Morbideus W. Goodell, and even an introductory sketch by Clive Barker. Horror is never very far from us, and there are other stories in Volume 1 that serve as uncomfortable reminders of this. "Blood Brothers" by Richard Chizmar presents the all-too-common scenario of the prodigal son, the back sheep of the family, returning. Many of us have endured the pain of this reunion, and perhaps in the back of our minds we are afraid that something like this story will play out the next time we have to endure it. Peter Crowther's "Thoughtful Breaths," while largely touching, manages to inject a genuine note of the uncanny into the otherwise everyday struggles of a husband and wife coming to terms with death and separation. On the other hand, "Craving" by Yvonne Navarro is absolutely chilling even though nothing uncanny can be said to happen. Two people form a bond over their common interest in disaster scenes, and the resulting story is enough to freeze the blood. "Playing the Huddys" by John M. Mellveen plays upon our horror of inbreeding, another commonplace occurrence that is nevertheless enough to make the reader cringe through the entire story until the genuinely unexpected ending. F. Paul Wilson's "The Year the Music Died" also uses our horror of a closed and secretive group as fuel...this time the group is not a genetically abnormal family, but rather a secret society of influential men. For all their trappings of wealth and sophistication, these men and the things they plan so blandly and with such assurance are just as horrifying, or worse. Mister October has its share of supernatural horror as well. Some stories hint at it, never fully explaining what we've encountered. "Overnight Guest" by Craig Shaw Gardner takes us through the common scenario of a hidden affair. Nagging us with a vague sense of impending doom throughout, the story still manages to make us underestimate the cruel horror of the situation until we discover it...too late. In "Ixchel's Tears" by José R. Nieto, we're never altogether sure how deep the threat—or how narrow the escape—really was. "Never Back Again," an impressive first effort by Rick's son Matti Hautala, has the same sense of ambiguity. Something terrible is happening, but what? Graham Joyce's "Under the Pylon" is similar, bringing a group of children on the cusp of adulthood up against the indefinable. Other stories in the anthology boldly unveil the horrors they describe. Mark Morris's "A Girl, Sitting" couples supernatural horror with parental horror. As a parent it was physically painful for me to read the story until the end. Chet Williamson's "Figures in Rain" manages to be delightfully refreshing and surprising despite having such a picture-perfect setting for a ghost story. "Life During Death" by Duane Swierczynski and "Crashing Down" by Weston Ochse hint at dizzying layers of existence beyond the everyday world while at the same time throwing us up against the harsh visceral horror of Death. 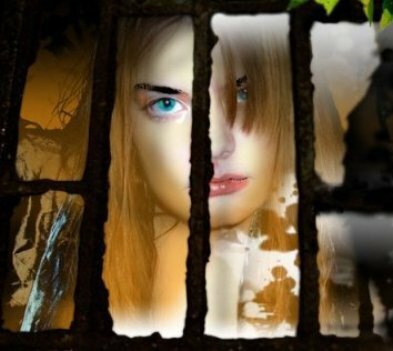 "As You Have Made Us" by Elizabeth Massie boldly tackles a touchy subject, that of salvation versus damnation, and manages to craft a wonderfully tense and entertaining story. Finally, "Conjurer—Book I: The Grieve" by Tom Piccirilli plunges us into a churning underworld of vampires and witches. The backdrop of Piccirilli's world, and the different powers at play there, make for fascinating reading. To sum up my impressions of this anthology, I consider Mr. October: Volume 1 to easily be one of the most entertaining horror compilations on my shelf. The stories are all first-rate and I highly recommend it for anyone interested in reading excellent horror fiction. The touching background of the anthology is just another point in its favor; as a work of great horror fiction, it stands successfully on its own merit. 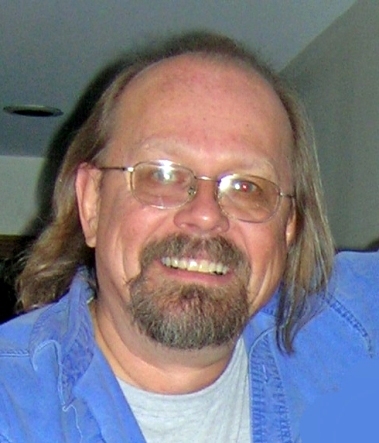 Rick Hautala has more than thirty published books to his credit, including the million copy, international best-seller Nightstone, His more than eighty published short stories have appeared in national and international anthologies and magazines. His short story collection Bedbugs was selected as one of the best horror books of the year in 2003. A new story collection, Glimpses, was published in March of 2013. Future books include the sci-fi adventure Star Road, with Matt Costello, from Thomas Dunne/St. Martins in 2014. Rick passed away in March of 2013. You might not think “cosmic horror” when you look at this Southern Indiana mother of two, but that is exactly what occupies a vast part of Heather Landry’s artistic and inner life. Heather was heavily influenced by The Nightmare by Henry Fuseli and she grew up watching reruns of Dark Shadows with her mother and listening to her father read The Rats in the Walls by H. P. Lovecraft before bedtime. Since she was a young child, horror had a cherished place next to beauty and fantasy in her world. She pursued art alongside biology and chemistry and after a protracted inner debate, she finally chose to finish her formal education as an artist. Heather has traveled throughout Europe, Mexico and the Mediterranean and always found beauty and horror in abundance wherever she went. She currently uses digital art because of the comparative speed and convenience, but she still loves creating acrylic paintings, block prints, collages, and drawings for traditional comics. Much of her work is drawn directly from her own dreams and nightmares, and others come from scenes in her favorite stories and legends. Heather works at a tiny corner of her kitchen table with one or more family members at her elbows who ask about what she’s drawing…and when they’ll be eating. Heather and her family form an unlikely collaborative unit…and she feels she has become a better and more prolific artist since having the children.